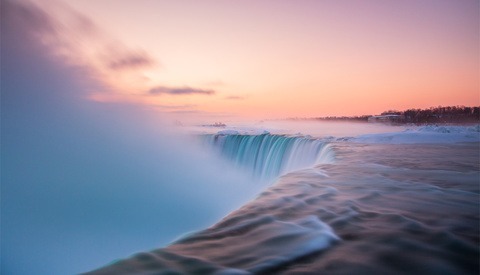 Dave Sandford is a professional sports photographer from Ontario, whose roots in photography keep him coming back to bodies of water, capturing images that move him personally. 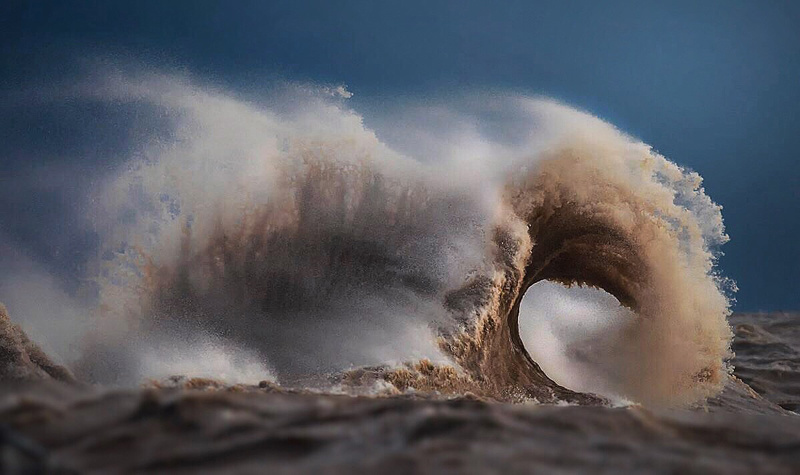 What he found close to home in the shallow water of Lake Erie turned out to be some of the most dramatic waves he’d ever seen, and Dave came away with an incredible series of images to share. Earlier this year Sandford spent seven weeks in Australia, visiting family… Or at least, that was the plan. He ended up spending just as much time in the ocean, working on his skills and building a gallery of ocean images. After befriending a local photographer named Warren Keelan, he quickly learned many tricks of the trade, and went on to apply those skills later, most notably in the series you’ll see below. 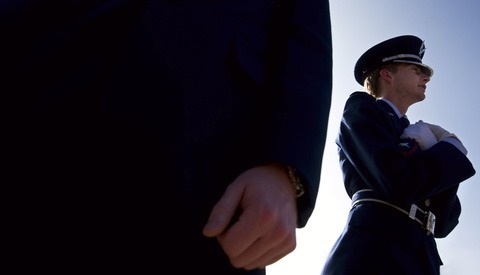 I caught up with Dave and he shared with me, what inspired him to create this series. 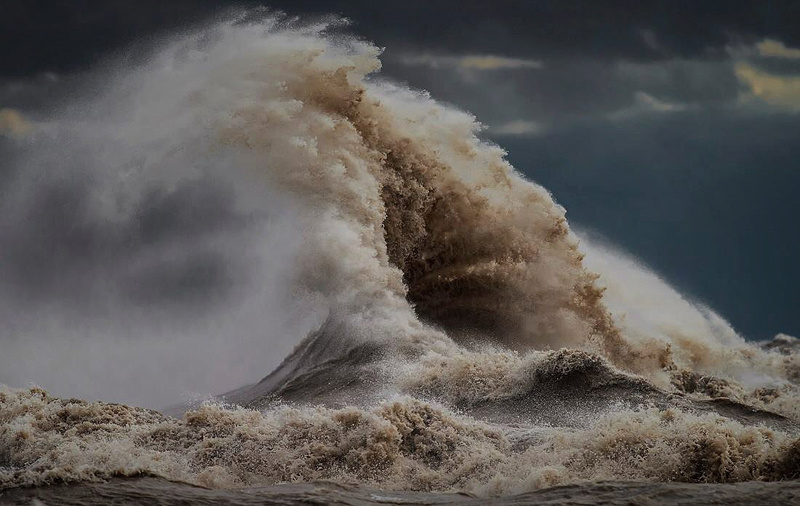 My inspiration for this series goes back to my passion for the water, which was super charged by my trip to Australia earlier this year and my craving to create more wave imagery… knowing that the Autumn months in the Great Lakes can look more like oceans as the gales of November blow, I set out with the intent on capturing natures fury on Lake Erie. 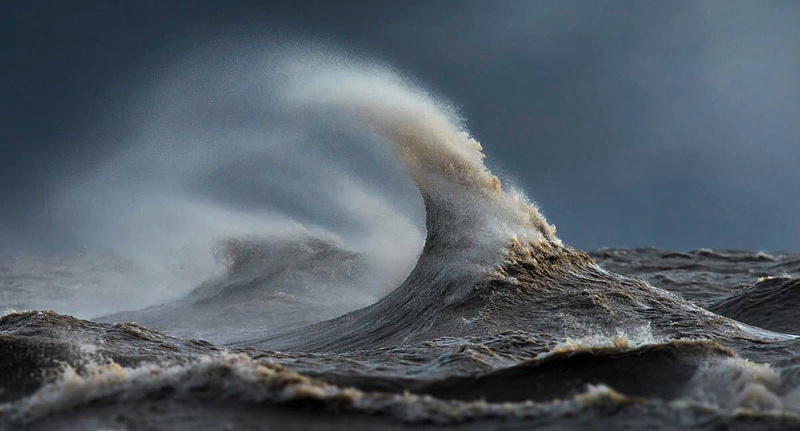 Most people wouldn’t associate waves with this region, but the Great Lakes produce some nice waves during the summer months and with what Warren thought me, a wave doesn’t need to be big in order to make a beautiful photo. Dave, like many of us, has shot images from the beach or shore of the lakes and oceans before, but he decided that in order to get the perspective he truly wanted, he would have to get much closer to the action. 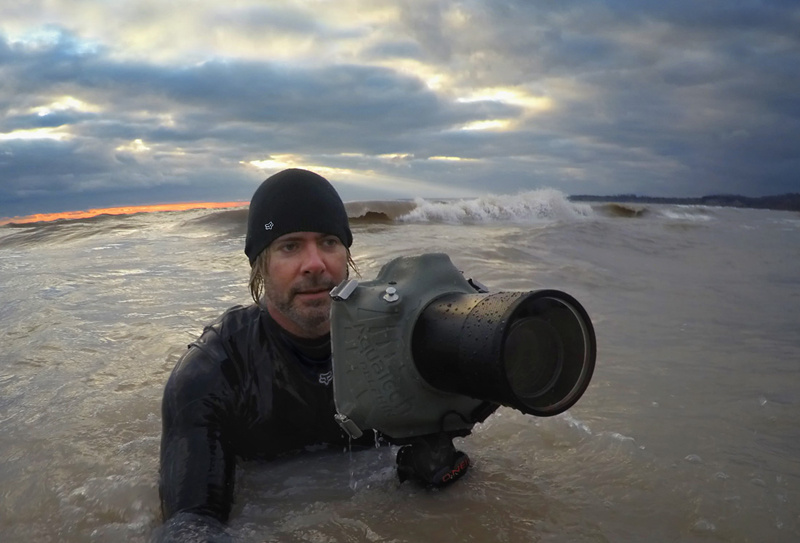 I was always stuck on shore or in boats to capture images of waves up until earlier this year. It had been a long time coming but about a year ago this time I was able to finally pull the trigger on adding gear from Aquatech to allow me to tackle my photography with a whole new approach. I added the Delphin 1D housing, along with various ports and lens tubes to allow me to get in the water and shoot waves from a perspective I’ve been waiting to shoot from for a long time coming. 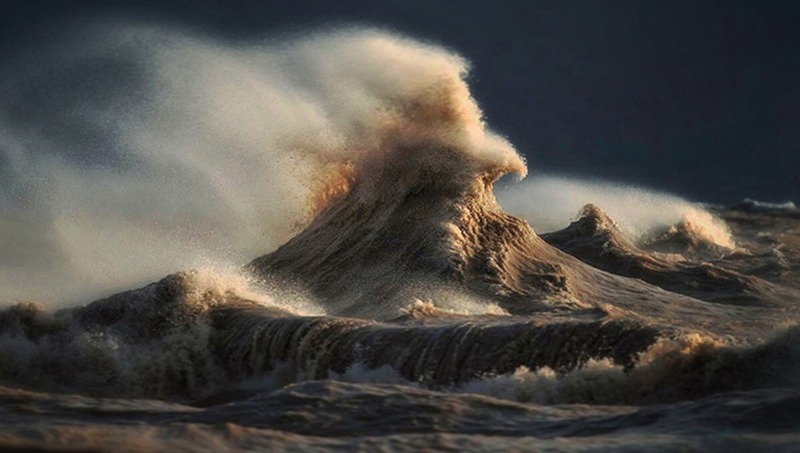 It wasn’t by chance that Dave found himself swimming around the frigid waters of Lake Erie during these wind storms. He kept an eye on the forecast, and on days when most people would avoid the lake, he packed up his kit and headed straight for it. For this project, weather played a big factor. Typically the days were dark and stormy, with low laying clouds and waves that are absolutely freakish in shape and size. They form very quickly unlike an ocean wave and they are extremely erratic, powerful and explosive. I often think to myself watching them, that they look like serpents or monsters moving across the water, the wind whipping up creating big tail’s made of water. They really come alive and move something inside of me when I am watching this unfold. 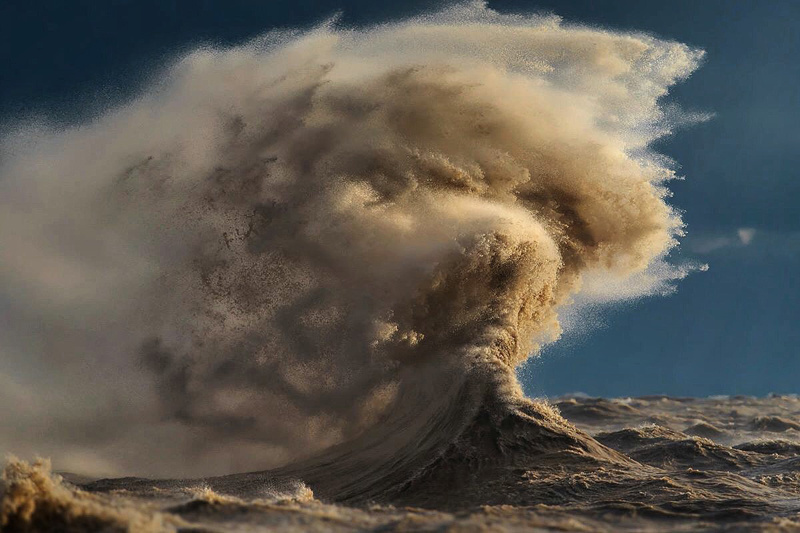 At times I would see massive 25’ waves take shape and explode in mere seconds through my camera, capture the moment and literally drop the camera from my face and say out loud to the lake “What. The. Hell. . did you just do.? !” It’s that kind of wonder, awe, amazement and emotion it stirs in myself that I want to try to convey to my audience. Besides inclement weather needed to create the action in these photographs, lighting played a big role as well, further enhancing the feeling and mood created by the waves. I love shooting the water on dark, heavy overcast days, it really makes for wonderfully moody images. 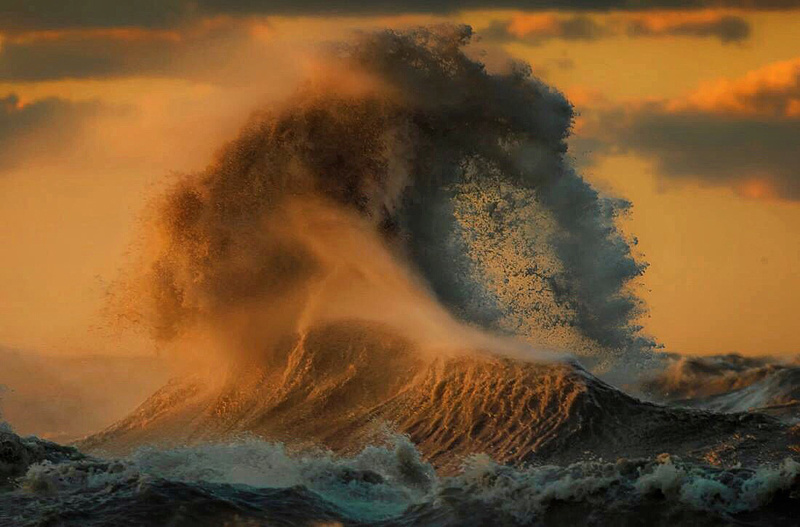 But on the other hand, the golden hour at both the start and the end of the day here is also spectacular the way it lights up the peak and spray of these waves. Dave’s kit consisted of a Canon 1Dx, with his lens choice alternating between the 70-200 USM II 2.8 and the 400mm 2.8 with a 1.4x Extender. The longer lens helped him when shooting on land, as there were some days he simply woudln’t risk getting into the water. Days I get in the water, I use my 1Dx with the 70-200 housed in my Aquatech Delphin 1Dx housing with the P-215 lens port and pistol grip. From land, the 1Dx with the 400mm and the 1.4x converter. The waves break close enough to shore here that for some the 520mm focal length was too much glass. 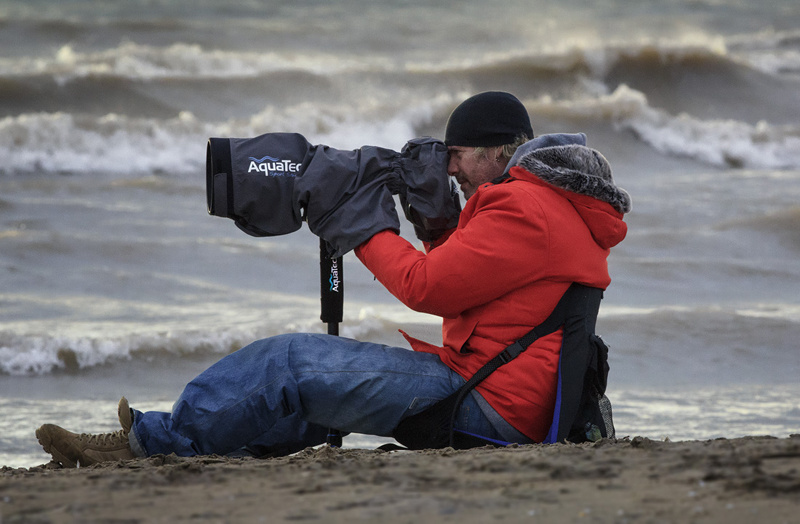 To protect my gear on shore from the breaking waves, at times rain and ripping across the beach, I used the large Aquatech All Weather Shield which also helps to break the wind and keep your hands warm. 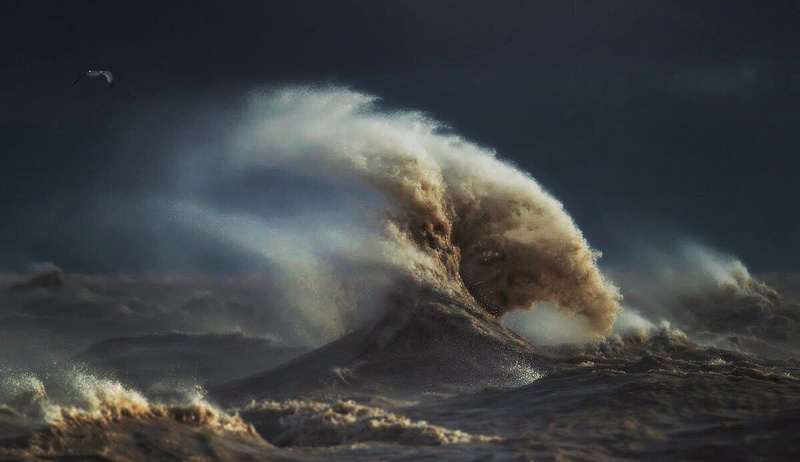 There is a very strong rip in Lake Erie and some days common sense takes over and you just don’t go in. For if you did, there would be no coming back. It’s simply too dangerous. The great thing about photography is in the end it is art, it’s open to interpretation and people will always have different opinions and approaches to it. I don’t shoot or process an image for how anyone else wants it to look, I do it for how I feel, how I want it to come across and hopefully my vision is appealing enough to stop someone in their tracks enough to make them look at an image and feel captivated enough by it to stir something in them similar to what stirs me. I’m often driven and inspired to get out there and do more simply from the feedback people give me on my images. Dave plans on returning to Australia next year to photograph Great White Sharks, which has been a lifelong dream of Dave’s. To see more of Dave Sandford’s work, check him out on Instagram. Wow these are epic. I've never seen waves with this sort of dynamic before! Wow! I'm reminded of pictures from the Hubble Telescope in the unexpected shapes and textures. Really great. Looks like water at it's wettest! Wow fantastic! So powerful and unique. Love everyone of them here! Beautiful shots! Where can I find a portable folding chair as Dave's used while shooting from the beach?.. Search for Crazy Creek. I think they were the original designers. But available in many camping stores. 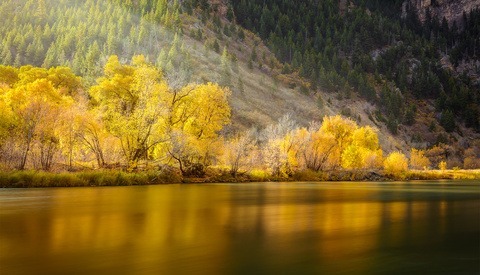 Stunning photographs! 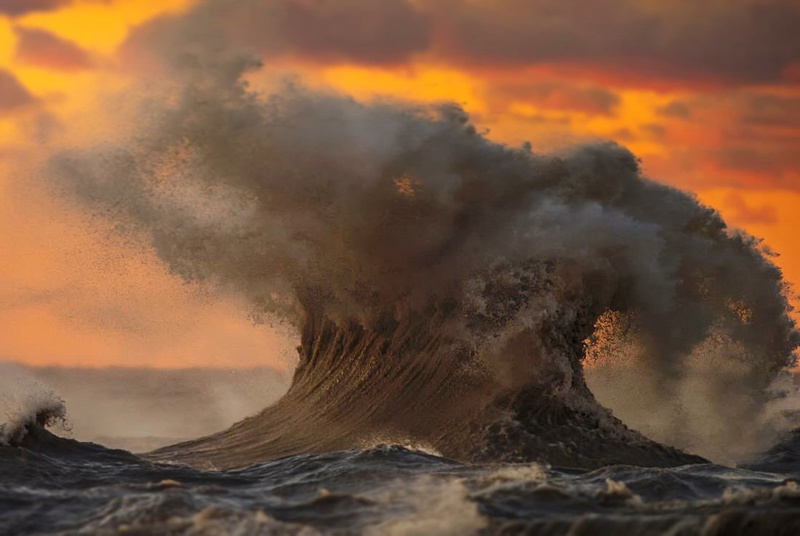 I love the way you are able to capture the power and majesty of the waves. The fast shutter speed captures the spray in such a way that it demonstrates the power of the waves crashing and the velocity of the blowing wind.